Honda has released pricing information on the refreshed Pilot. 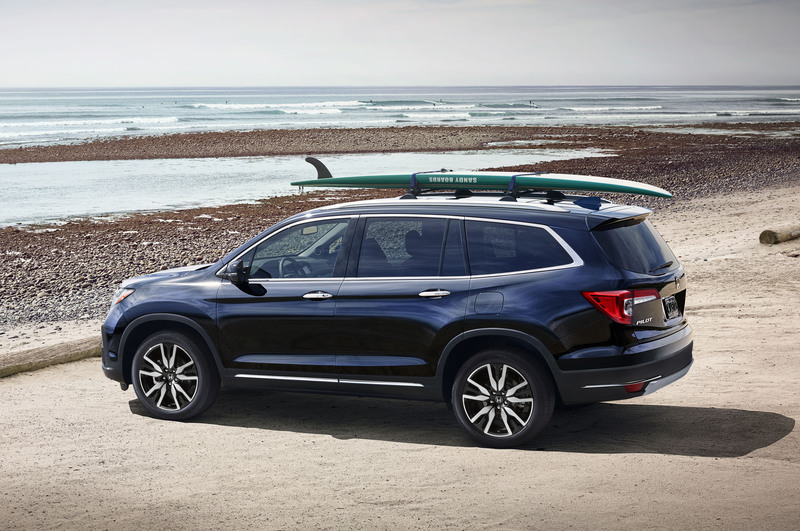 With updated styling, more convenience features, and an updated nine-speed automatic transmission, the 2019 Honda Pilot arrives in dealerships today. Prices start at $32,445, up $550 from last year. 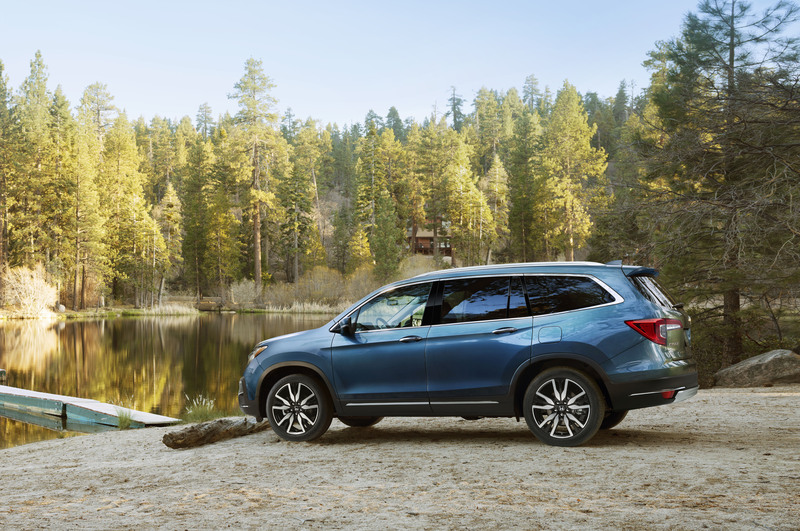 Honda Sensing technologies now come standard on all Pilot trims. With this package, buyers receive collision mitigation braking with forward collision warning, lane keeping assist, road departure mitigation, and adaptive cruise control. The Pilot also receives an updated front fascia and standard LED low-beam headlights. Available foglights are now LED units, and the foglight housings have become larger. There is a new skid garnish on the lower portion of the front bumper, and the turn signals are thinner. Honda also reworked the taillights and rear bumper, also adding chrome accents in the back. New 18-inch and 20-inch wheel designs are available in the lineup. EX models start at $35,325. 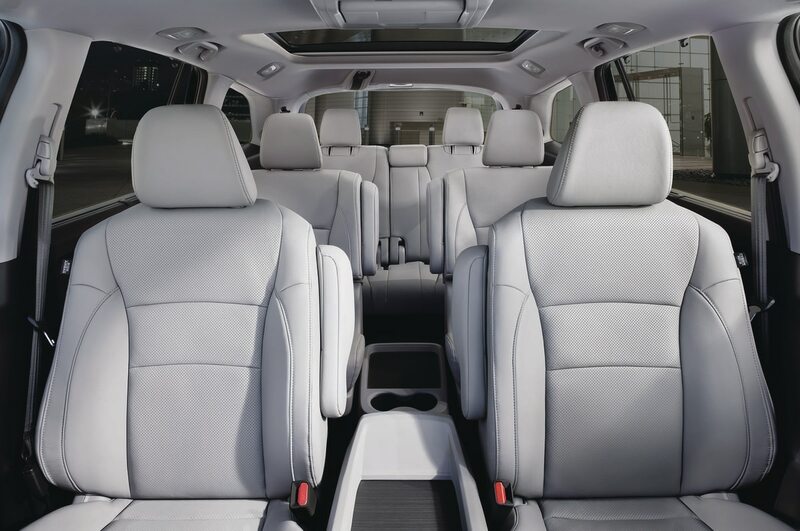 This trim receives a host of new features including rear cross traffic monitor, a blind spot information system, HD radio, heated front seats, one-touch second row seats, and an eight-way power driver seat. Despite the new equipment, the EX stays at the same price point as the outgoing EX with Honda Sensing trim. EX-L models receive new HomeLink, a second row sun shade, and memory driver seat and door mirrors, with prices starting at $38,755. 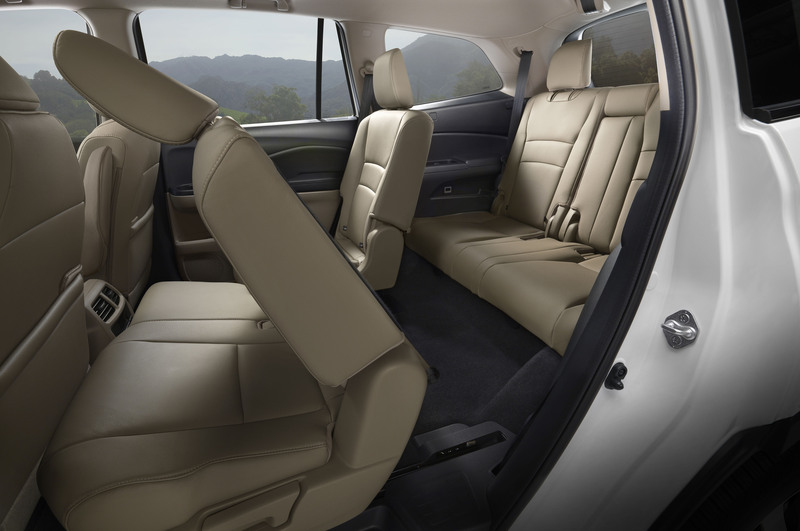 When equipped with a navigation and rear entertainment system package, prices go up to at least $40,755. Touring models, priced from $43,515, get new hands-free power tailgate among other features. Models with this trim level and above come with a newly revised nine-speed automatic instead of the standard six-speed. With rear captain’s chairs, prices rise to at least $43,815. At the top of the Pilot lineup is the Elite, priced at $49,015. This model offers even more features this year, including a new wireless phone charger and auto-dimming side mirrors. All models except the Elite come standard with front-wheel drive, and all-wheel drive adds an extra $1,900 to the bottom line. A host of technology upgrades arrive on the refreshed Pilot, including a revised instrument cluster with a 7-inch TFT display. Honda also upgraded its 8-inch touchscreen audio system that’s standard on EX trims and above. It has a new volume knob instead of the previous sliding tool. With the new CabinControl feature, drivers can use their smartphones to control the audio, rear entertainment system, and rear climate controls on EX trims and higher. When it comes to connectivity, 4G LTE Wi-Fi joins the lineup on Touring and Elite trims, with an embedded Telematics Control Unit providing an AT&T 4G LTE connection inside the cabin. 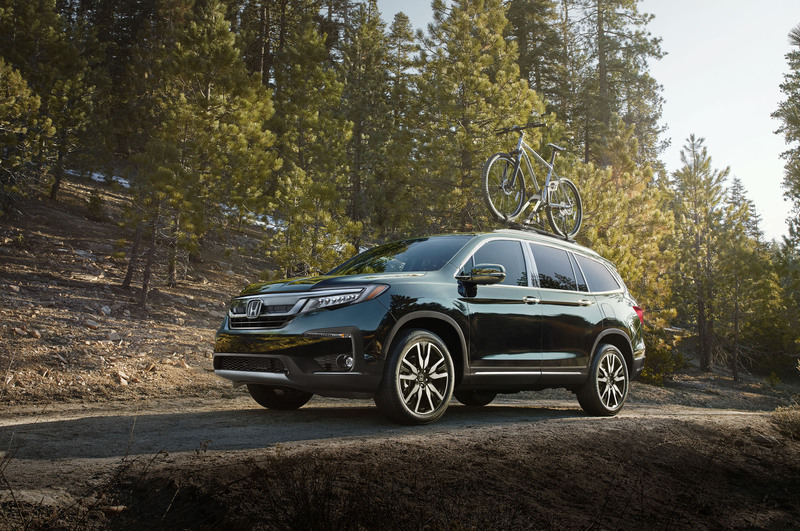 With the new features, the starting price of the base Honda Pilot is now slightly higher than the 2018 Toyota Highlander at $32,275. The 2019 Chevrolet Traverse starts at $30,925 while the 2018 Mazda CX-9 goes for at least $33,125.